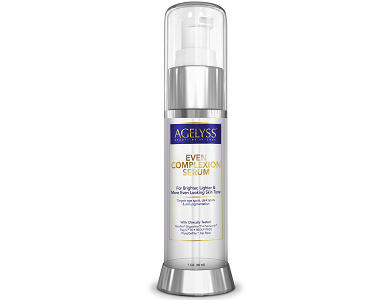 This review will focus on a product manufactured by Agelyss called Even Complexion Serum. Unlike other information one may find in skin brightening reviews, here we will provide potential customers with all the necessary information to ensure you know what this product is. The manufacturer has developed an anti aging brightening serum that helps to lighten and brighten the skin on the face and the neck. It claims to eliminate dull skin and even out skin tone and texture. In addition to this, it reduces skin hyper-pigmentation and discoloration and fades dark spots revealing a younger looking skin. It even prevents excess melanin synthesis. To find out more about Agelyss Even Complexion Serum, keep on reading. What’s in Agelyss Even Complexion Serum? 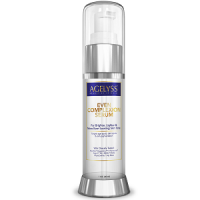 The full ingredients list for Agelyss Even Complexion Serum is made available on the label of the product and also on the manufacturer’s website. Other brightening serum reviews fail to provide a full ingredients list or key active ingredients as certain brands hide this information from their potential customers. Here, the manufacturer ensures their customers have full insight into everything that is in the product, why it has been added, and also the clinical studies behind the ingredients. Alpaflor Gigawhite – A skin brightener, derived from alpine plants, naturally reduces tyrosinase activity which helps to inhibit melanin production. Also reduces skin discoloration and evens skin tone. Pentavitin – Provides deep hydration that lasts for up to 72 hours after application. It is 100% natural and plant derived. Stay-C 50 – An antioxidant (a form of vitamin C) that helps stimulate collagen production and increase skin firmness. Helps improve the appearance of acne and age spots. REGU-FADE – This is an antioxidant which helps to visibly lighten and brighten skin by reducing hyper-pigmentation for a more youthful-looking skin. PhytoCellTec Alp Rose – Based off of the stem cells of the alpine rose leaves, which contains specific epigenetic factors and metabolites. Helps to preserve human skin stem cells’ function and renew skin cells. The product contains at least 10% clinically proven active ingredients, whereas other brands contain less than 2%. Also, this product provides at least 5 key active ingredients which are patented or trademarked. To ensure customers receive the best brightening serum which is safe and effective, the manufacturer has done a lot of research and follows strict criteria. It is formulated in an FDA registered laboratory and a cGMP facility. This also ensures the product is of a high standard and quality. Agelyss Even Complexion Serum does not contain parabens, synthetic dyes, petrochemicals, animal by-products, hormones, or phthalates. The manufacturer only uses 100% pure and natural steam distilled/cold-pressed essential oils and no artificial fragrances. In addition to this, Agelyss products are not tested on animals and is thus a cruelty-free brand. It is also vegan-friendly. How Do You Use Agelyss Even Complexion Serum? Clear usage instructions are provided on the manufacturer’s website and also on the label of the product. The manufacturer recommends that the user apply the product to the entire face and neck. Smooth the product gently into the skin using circular motions. First, allow the serum to thoroughly absorb into the skin before applying a moisturizer. For best results, the manufacturer suggests that the user apply the product to the face (including the eye area), neck, and/or desired area of the body for a lighter and brighter complexion. The product should be applied at least twice a day. It has been developed for safe and effective use by both men and women. What makes Agelyss Even Complexion Serum unique is the fact that the container it comes in is an airtightly sealed bottle to ensure freshness and also to help maintain the integrity of the formula. Also, the brightening serum comes in a hermetically sealed pump bottle. This type of container ensures the product can be used easily and also prevents any contaminants that may jeopardize the product’s quality. When looking at the price of Agelyss Even Complexion Serum we can see that the manufacturer makes their customers the first priority. This is also evident in the formulation of the product and the research that has been done to provide a safe and effective product. Agelyss Even Complexion Serum is available for purchases online from the manufacturer’s official website as well as from Amazon. One bottle is priced at a total of $79. When a customer purchases more than one bottle the price per bottle will be less. For 3 bottles you will pay $46 per container and for 6 bottles you will pay $33 per container. Customers will also be happy to know that the manufacturer offers free shipping on all orders of $79 or more. The manufacturer has provided pricing and deals like this to ensure all potential customers have the opportunity to purchase the product. It also helps current customers who use the product monthly. The manufacturer of Agelyss Even Complexion Serum understands that it may be difficult purchasing products online, especially skincare and beauty products. Also, the result of the product may differ depending on the individual. For this reason, they offer a rock-solid 365-day money-back guarantee. The manufacturer definitely feels confident enough to offer a return policy like this, and they may. This is because the manufacturer has done extensive research and developed their product based on clinical studies. They are also serious about helping their customers achieve their goals. Thus, it gives them the right to provide a risk-free guarantee like this. So, if for any reason you feel the product is not working for you, may it be sealed, open, used, or empty, you may return it for a full refund of the purchase price. Returning a product or products is risk-free and very easy. In addition to this, customer services staff are friendly and very helpful. They can be contacted via email or by calling them. According to the brightening serum reviews, many customers have praised this product, saying it is light, soft, and non-oily. They also mention that the excellent formula provides safe and effective results – as the manufacturer claims. 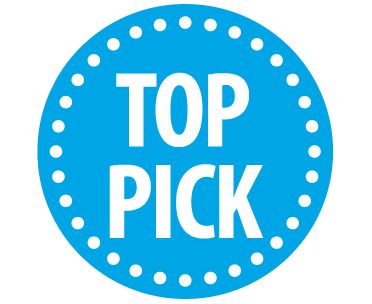 The list of reviews left by customers on the manufacturer’s website indicates satisfaction with the use of Agelyss Even Complexion Serum. It is clear that this anti aging brightening serum is definitely worth trying. The customer reviews, as well as the manufacturer, has not indicated any cases of possible side effects. The manufacturer does mention that they do not use any harmful or toxic substances in their products and each and every ingredient used has been tested for safety. The ingredients are also 100% paraben free. Moreover, the product has been developed for all skin types and ages, even mature skin and sun damaged skin. This ensures a very small gap for possible side effects. However, the manufacturer does state that each person is different and unique and that the effects of the product may differ from person to person. They also state on the label of the product that the use thereof must be terminated if irritation occurs and that it is only intended for external use. Agelyss Even Complexion Serum provides an anti aging brightening serum that is backed by clinical studies and scientific research. Each ingredient has been carefully selected to ensure the best result with no possible side effects. The manufacturer even makes sure the product contains at least 5 main active clinically proven ingredients that are patented or trademarked and developed in an FDA and cGMP certified facility. This shows us that the manufacturer offers a brightening serum that is safe and effective for their customers. The manufacturer offers a rock solid 365-day money-back guarantee that ensures all customers purchase the product risk-free. The ingredients are carefully selected following clinical studies and are of the highest quality and standards. Customer reviews show positive results and feedback. The price offered by the manufacturer is affordable adding cost-effective package deals and free shipping. In conclusion, our review has left us with a positive and excited feeling about this anti aging brightening serum. The fact that the manufacturer claims that this product can help lighten and brighten the skin of the face and neck, eliminate dark spots, even out the skin tone and texture, reduce skin discoloration and hyper-pigmentation, and even prevent excess melanin synthesis, following customers reviews and clinically research to back these claims, we are positive that this product is safe and effective. We definitely recommend the use of Agelyss Even Complexion Serum for a more radiant, luminous complexion.